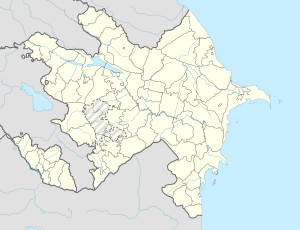 Shusha (Azerbaijani: Şuşa), kent an aw as Shushi (Armenie: Շուշի) is a toun in the disputit region o Nagorno-Karabakh in the Sooth Caucasus. It haes been unner the control o the sel-proclaimit Nagorno-Karabakh Republic syne its captur in 1992 durin the Nagorno-Karabakh War. Housomeivver, it is a de-jure pairt o the Azerbaijan, wi the status o an admeenistrative diveesion o the surroondin Shusha Rayon. Situatit at an altitude o 1400–1800 metres (4,600-5,900 ft) in the picturesque Karabakh muntains, Shusha wis a popular muntain recreation resort in the Soviet era. Wikimedia Commons haes media relatit tae Shushi. This page wis last eeditit on 10 Mairch 2018, at 20:54.